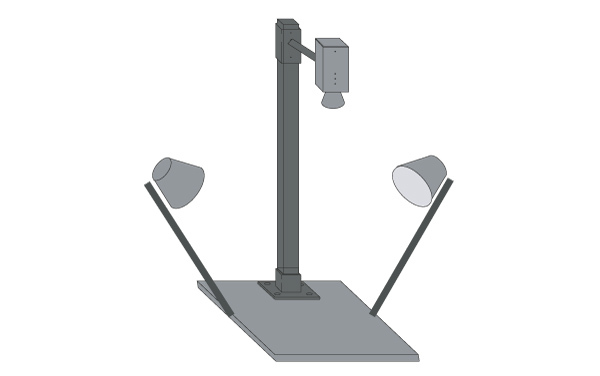 The ideal rostrum holds the camera directly over your artwork and can be moved closer and further. Two lamps should provide even light at around 45° angles to your work. Rostrums can be pricey; however you can order bits by themselves direct from Firstcall Photographic, one of the most helpful professional kit for education companies we have found. The problem with regular anglepoise lamps is they don't always stay in the same place. 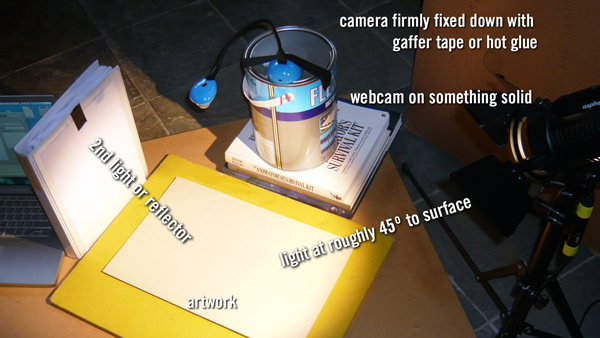 There are a number of economical ways of getting a camera or webcam over your work. Here is one we have tested with using the HUE webcam, but could work with most document cameras (classroom visualisers). 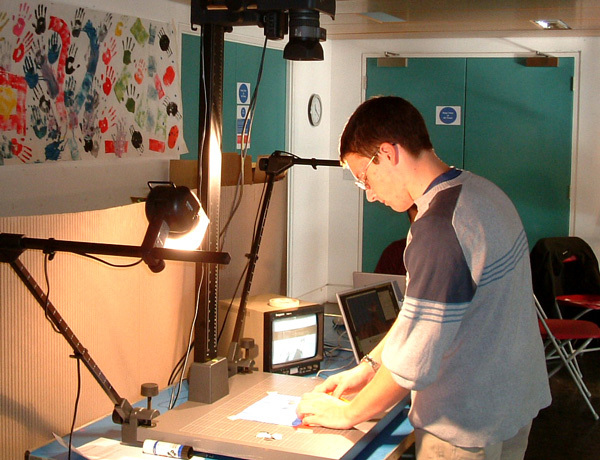 A carefully positioned tripod can work quite well in place of a rostrum, however it is tricky not to knock it during filming, so endeavour to get the tripod behind your table and use the upside down facility in your animation software. Move the camera as directly over your work as possible so an A4 sheet does not become a trapezoid.